Fresh-from-the-garden flavor in our summer slaw! 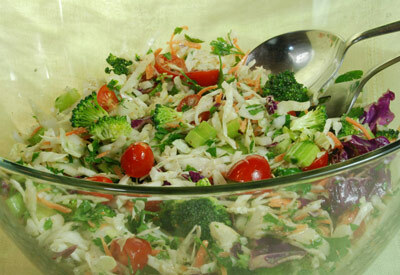 Toss the cole slaw, broccoli, tomatoes, celery and parsley in a large salad bowl. Stir together the oil, vinegar, mustard and garlic in a small bowl; add to salad and toss to coat.